Ivandale Farms offers a full suite of tree services to meet your arborculture needs. From tree take-downs to strump grinding, we have the equipment and experience to do the job right. Looking to have a large tree moved to a different location or property? We can do that! 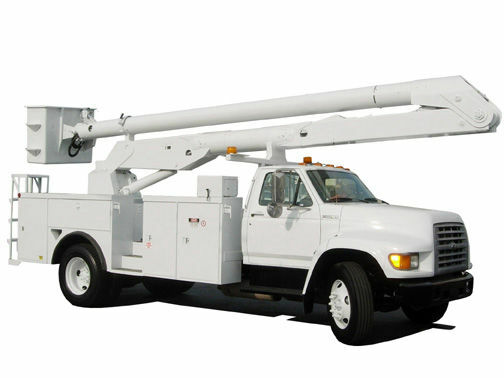 We have the tree service capabilites that the "little guys" only dream about. You can read more about our tree moving services below! A tree service is only as good as the equipment and team behind the name. We have the cutting-edge equipment to do the job right. Ivandale Farms, LLC can transplant on-site trees or haul trees to new locations. Our ability to transplant ranges from 1’ to 30’ tall trees, with multiple options for moving several trees at once due to our variety of equipment. 1. We have a 36” tree spade mounted on a skid steer which can transplant 1.5” to 2.75”-caliper deciduous trees, or 4’ to 12’ tall evergreen trees. This spade is normally used if you have a minimum of 5 small trees to transplant. This can be cost prohibitive for smaller quantities unless the trees are very valuable or for sentimental reasons. We can haul between 12 to 20 of these sized trees at a time . 2. We have a 42” tree spade mounted on a skid steer which can transplant 3” to 5”-caliper deciduous trees, or 10’ to 16’ tall evergreen trees. We can haul between 6 to 8 of these sized trees at a time. 3. 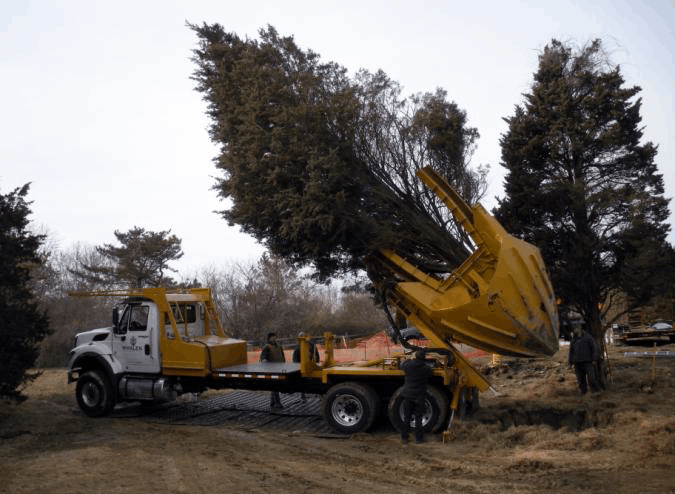 We have a 48” tree spade mounted on a skid steer that transplants 5” to 7”-caliper deciduous trees, or 16’ to 20’ tall evergreen trees. We can haul between 3 to 5 of these sized trees at a time. 4. We have a 90” truck-mounted tree spade that transplants up to 12” caliper or 16’ to 30’ tall evergreens and up to 12” caliper deciduous trees.